2017 has been a big year once again for David Dean and his businesses – Hostile Entertainment and Turn Up Event. 2017 is coming to a close and the following is a look back at what I and these businesses have done and achieved over the past year. I would like to take this opportunity to thank all the local and touring acts and bands that I have worked with and helped with shows, tours, promo and releases this year as well as all the venues that I have booked shows at and people that have helped me and my businesses to make everything happen. I would also like to thank everyone who has come to the shows/venues to see all the artists play. If you don’t support what they and I do and put on for you, none of this can happen. You can’t beat seeing live music. I saw some great live acts and bands this year including Guns N Roses, Max and Iggor Cavalera Return To Roots, Paul McCartney, Adele, Santana, Buddy Guy, Birds Of Tokyo and Northlane plus many more great live entertainment in 2017. I went to Bluesfest again at Easter for three days this year and had an enjoyable time seeing some amazing acts at one of the greatest places in the world. If you have never been to this festival before, you should attend. 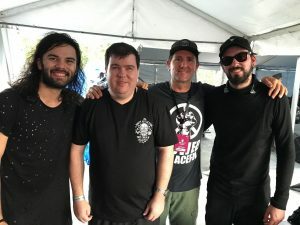 In May, I also attended The Big Pineapple Music Festival on the Sunshine Coast and it was great to catch up with everyone and see all the bands play on the day/night. I travelled to Sydney twice this year, once in June with friends for a holiday for four days and then again at the end of October for two days to go to the Fearaphobia Event. 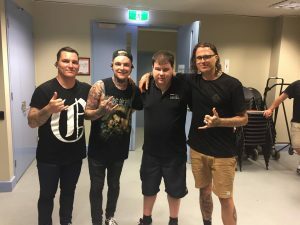 Hostile Entertainment worked as the local promoter for two shows for The Amity Affliction at Gympie and the Sunshine Coast in January. The Sunshine Coast show at Lake Kawana Community Centre sold out the week of the show and the Gympie Civic Centre show was two-thirds sold out. Gympie was a homecoming show for Amity as they hadn’t played in Gympie for ten years. It was good to catch up with the boys and see them put on two great shows for their fans as they always are great to see live. Darkcell, Doolie, Alf An Ant and Illicit Symphony to go along with the other acts that we already represent. All acts and bands have done well this year with shows, national tours, festival appearances and singles, videos and album releases. Hostile Entertainment is working closely with Darkcell with bookings and plans for international touring for 2018 and beyond. 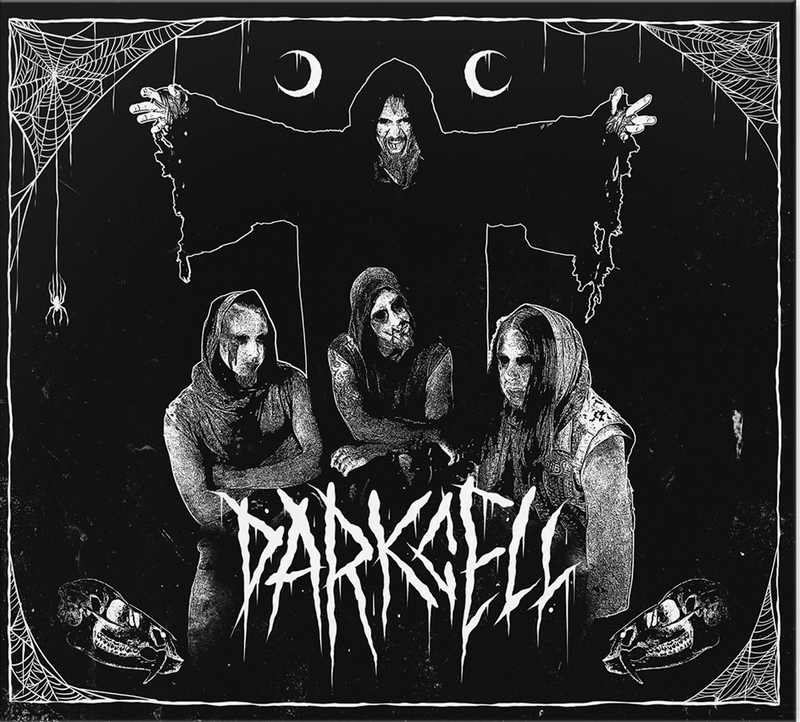 Darkcell did three national tours in 2017 with the first in February, March and April playing 6 shows in Brisbane, the Gold Coast, Sydney, Newcastle and the Sunshine Coast. They also did a national tour supporting USA heavy band Motionless In White in September playing to nearly sold out crowds each night across 5 shows in Sydney, Brisbane, Adelaide and Melbourne. Their last tour for this year included their own event called, Darkcell’s Psycho Circus Event with 9 bands on each line-up which was held in Sydney and Brisbane with their own headlining shows in both Newcastle and Melbourne to big crowds in December. This band also played at the sold out Dead Of Winter Festival at the end of July in Brisbane as well as the Fearaphobia Event at Hawkesbury, NSW, for six nights at the end of October, to big crowds for Australia’s biggest Halloween fright park event. Darkcell released their latest single/film clip – Hail To The Freaks – in August 2017 which has some good views online. Doc Span Band, Kevin Borich Express, The Barry Charles Band, Mason Rack band, Devils Kiosk, Floyd Vincent And The Temple Dogs, 8 Ball Aitken and Asa Broomhall band. We also booked The Radiators in December as well as Russell Morris in both May and October at The Caloundra RSL Function Room and all shows had good turnouts. Hostile Entertainment also organised a 10 bill line-up called Rock ‘N’ Roots 2017 Event at this same venue in December which was attended well and all the local Sunshine Coast acts enjoyed playing it. Hostile Entertainment booked Mental As Anything at The Tewantin Noosa RSL in October which was a great live show for their local fans. 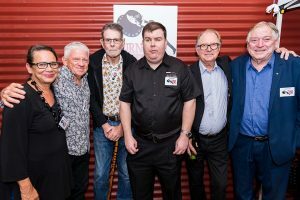 The Turn Up Sunshine Coast Music Industry Conference happened for the fourth year on Thursday 19 October 2017 at The Lind Theatre, Nambour. Glenn Wheatley, Ted Gardner, Barry Bull and Bill Hauritz, headlined a diverse line up of panel speakers, delegates and guests for an evening of inspiration, celebration, education, and connectedness, to encourage the next generation of the Music Industry practitioners. 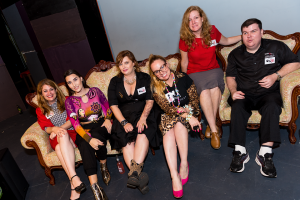 The Turn Up program included keynote presentations, conversational discussion panels with leading music industry achievers, networking and showcase performances from local Sunshine Coast artists. For more info on this year’s conference go to www.turnupevent.com to see the whole line-up of speakers and performers and info on this conference. I would like to take this opportunity to thank all the speakers, performers, sponsoring businesses and organisations and people that help with this conference to make it happen as it is a great event for the Sunshine Coast music industry. I hope that 2018 is a great year for you and your family as well as your work and business and that you and all the people around you achieve your goals that you set and plan for the coming year. I, and my businesses, as well as the acts and bands that I work with are planning for a big year and we will bring all the plans to you once they are all locked in and able to be announced in the coming months. I look forward to what is ahead for myself and others that I know and work with as well as bringing you all some great acts in 2018. Happy New Year, keep it live, loud and local. I’ll see you out at a gig sometime soon.